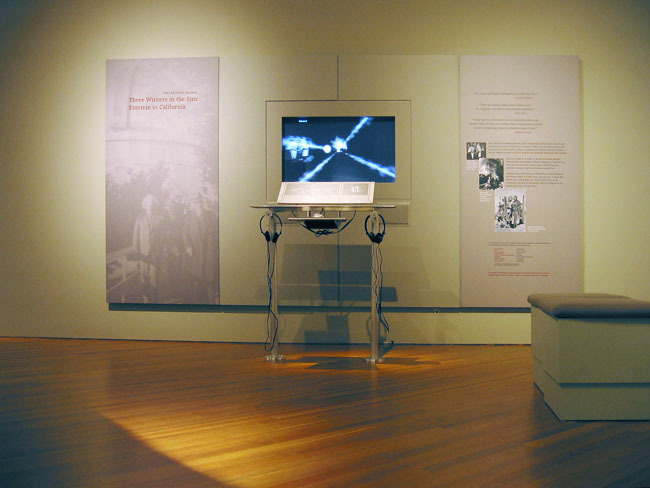 Three Winters in the Sun is an interactive portrait of the three winters Albert Einstein spent in California. 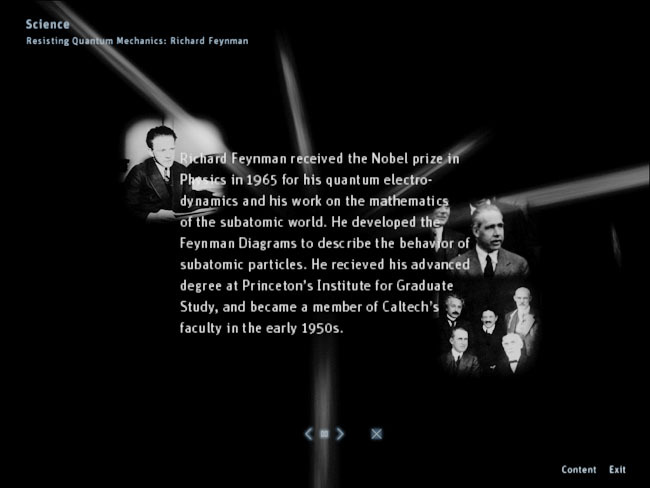 From 1931 to 1933, prior to his emigration from Nazi Germany, Einstein visited in three successive years the California Institute of Technology in Pasadena. During these visits Einstein was a figure of considerable scientific and popular fame. 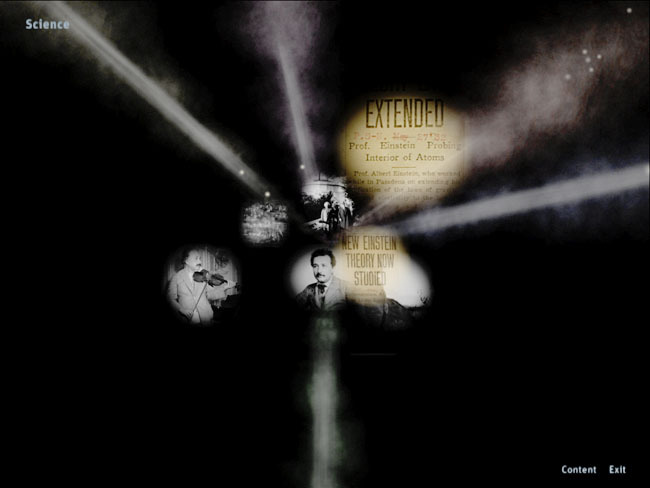 Examining Einstein's visits through the six different lenses (Émigrés, FBI, Hollywood, Household, Jews, Science), the project traces his interactions with the various communities and draws a multi-perspective portrait of the scientist, philosopher and musician. 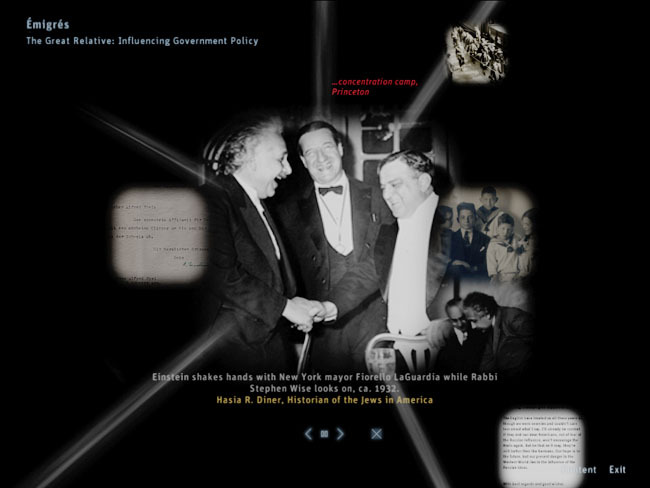 The project was realized in cooperation with the Skirball Cultural Center, with the Einstein Papers Project, and the Institute Archives at the California Institute of Technology.